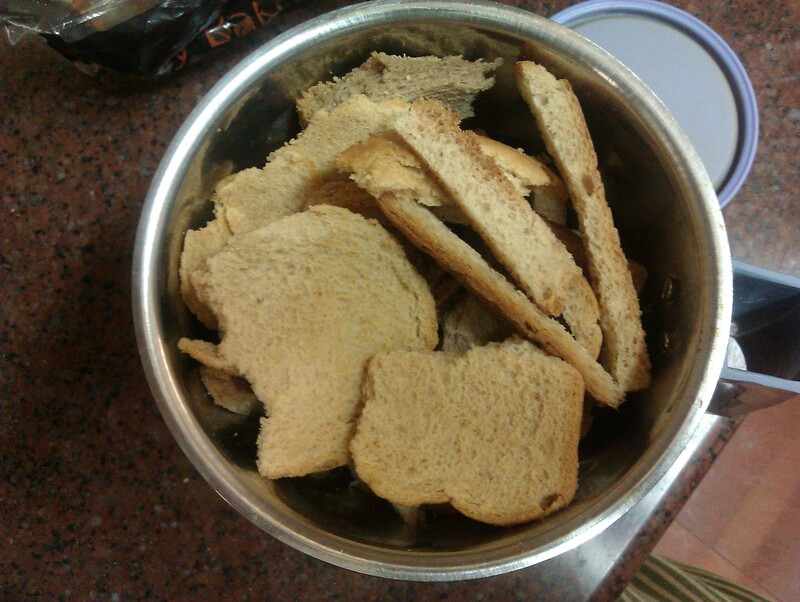 Take 3-4 bread slices, you can take either white/ brown bread according to your choice. 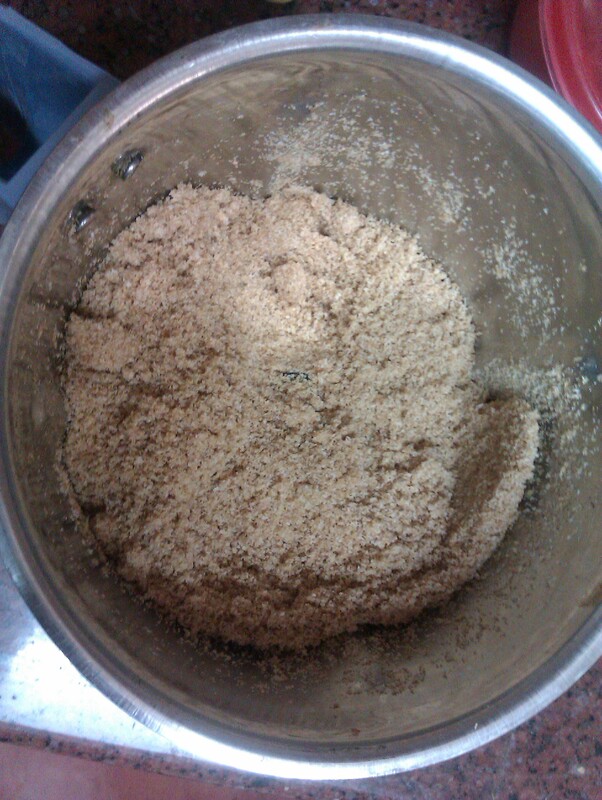 Then put it into a mixer jar and grind it for 1min. And your bread crumbs is ready to use.